This is Shannon Wood's first year of teaching after a change in careers. She completed her masters this past July. 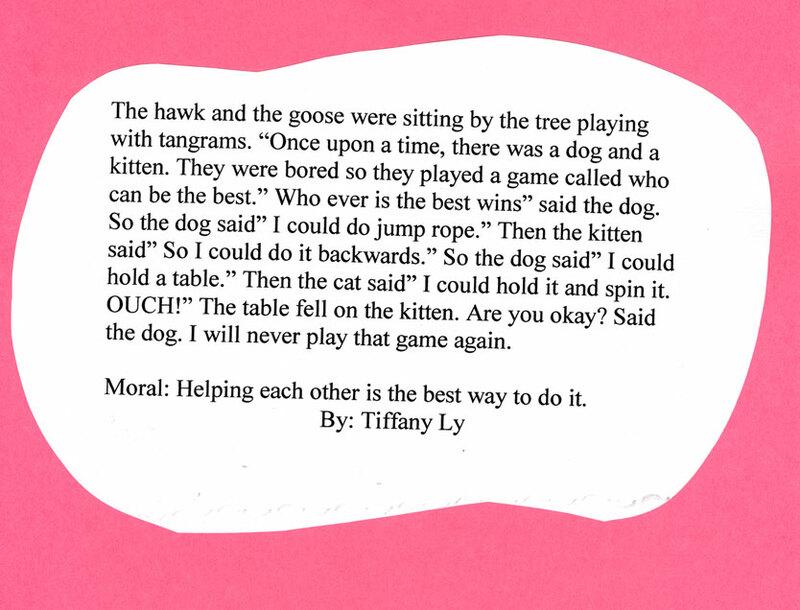 Prior to beginning, I decided for the first half to focus on solving tangram puzzles and introducing new terms. In addition, we attended the computer lab to solve puzzles. 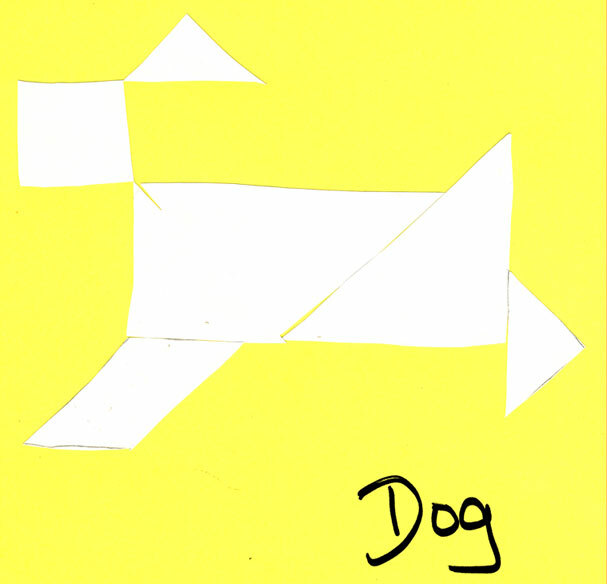 For the second half, we wrote folktales and created a tangram creature who was the main character of the folktale. 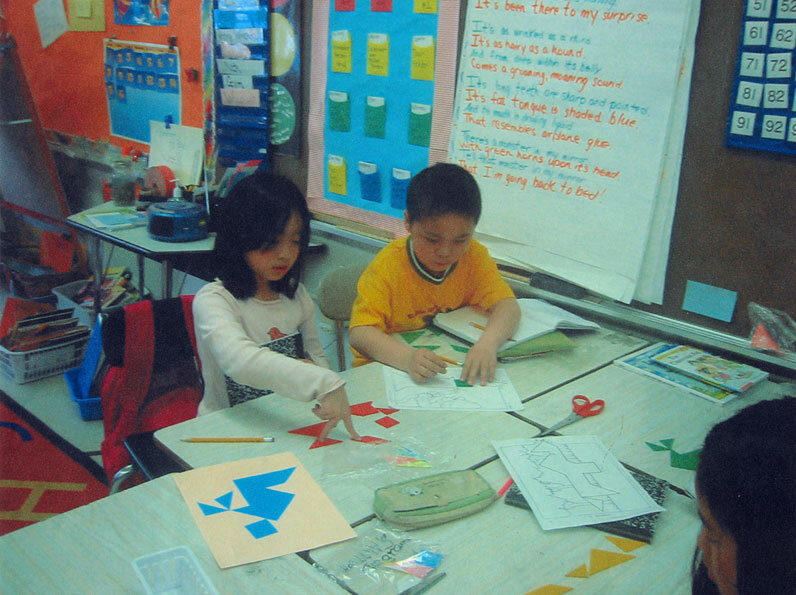 The students attended the computer lab three times to explore puzzles on the following website: http://enchantedmind.com/puzzles/tangram/. Students were had to demonstrate that they were able to utilize the terms rotation, translate and reflection in solving a puzzle, demonstrate their understanding on graph paper, solve puzzles on the computer, and create folktales. Map out the unit day-by-day and decide what your focus will be for both the math and writing components. Leave room to allow students to explore the puzzles in groups of two and discuss strategies throughout the unit. Model the process for the students.